In the mid-90's journalist Gary Webb made claims that the CIA were importing vast amounts of cocaine in to the U.S. to raise money for the Nicaraguan Contra rebel army. Despite enormous pressure not to, his allegations were ultimately published in the series 'Dark Alliance', leading to Webb be the centre of a vicious smear campaign, where much of the media slowly turned against him, which affected both his job and personal life. Kill the Messenger, based in part on Nick Shou's biography of the same name and Webb's own series of articles, brings this story to the big screen, with Jeremy Renner in the lead role, which reiterates that there is more to the actor than shooting arrows in The Avengers or being a replacement for Matt Damon in the Bourne franchise. He completely embodies both sides of Webb: an idealistic and dogged journalist in his public life, while his private life saw him being a devoted family man. It's an every-man role that the audience can totally relate to, and is compelling enough that he carries the movie for long stretches of its run time. 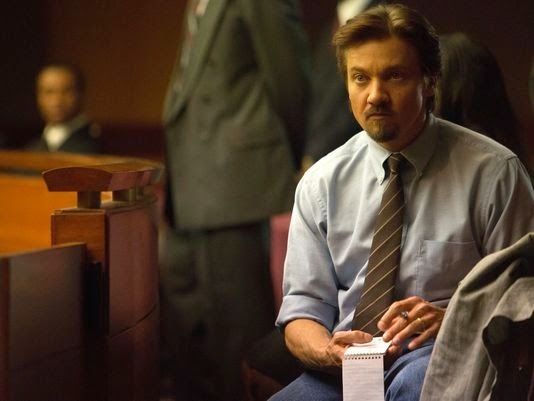 Despite all the shadowy dealings and government conspiracies, Kill the Messenger is very much a character study of one man battling unexpected and unrelenting adversity, and watching Webb slowly become the broken man he is as end credits role is absolutely heart breaking, and is an absolute credit to the work Renner can put out. He is surrounded by an impressive supporting cast, including Oliver Platt, Ray Liotta (who makes the most of his brief but pivotal role), Michael Sheen, and a completely unrecognisible Mary Elizabeth Winstead, but it's really Renner who will be front and centre of your mind once the movie is over. Director Micheael Cuesta (2001's L.I.E, several episodes of Dexter and Homeland) imbues the movie with a very naturalistic look and tone, and it barrels forward with a fantastic momentum for much of its early scenes. But when its not putting all its focus on Webb, cracks start to show in the narrative. Several historical inaccuracies are easy to overlook, but as the movie marches on, you are very much aware that there is a lot of information we are not privy to. You always get the feeling that there is more to be told just waiting on the edges of the story, but it never makes itself known. This robs the narrative of some much needed suspense, and, in the second act especially, the momentum the movie had built up starts to seriously wane, leaving even the big revelations feeling small and unimportant. Getting by on a fantastic turn from it's leading man, Kill the Messenger is still a thought provoking look at murky piece of history, let down by a series of narrative stumbles.